Some of the brightest design graduates to emerge from Scotland’s internationally renowned art colleges, including Duncan of Jordanstone College of Art & Design, have been displaying their work at the V&A in London as part of this year’s London Design Festival. The ‘Designing for the Future’ exhibition presents work selected from 2011 degree shows of the Scottish Art Schools and includes a wide variety of design disciplines from fashion, graphics, product and interior design to environmental and service design. 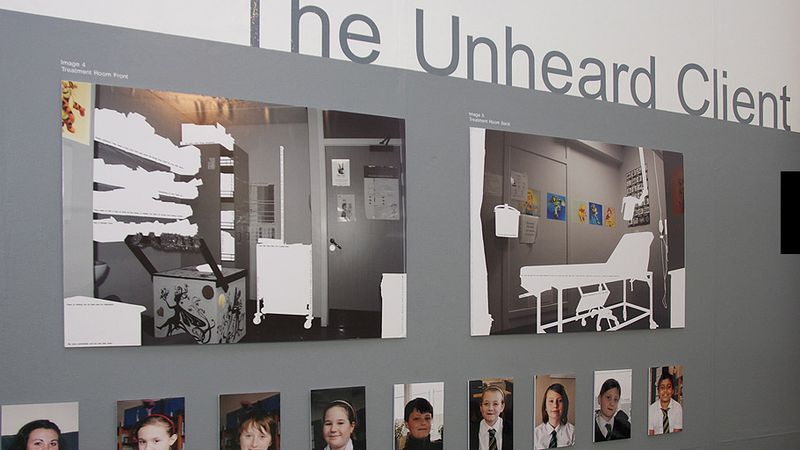 The exhibition is supported by V&A at Dundee and Creative Scotland. An earlier version of it was displayed at the Scottish Parliament. Rebecca Lindsay, a graduate of the Master of Design and Interior & Environmental Design at DJCAD, said the London display was a chance to reach a whole new audience. “This unique opportunity allows myself and my peers to showcase our work to an international audience and creates wonderful networking possibilities for the future,” said Rebecca who designed a project aimed at giving ill children and their parents a greater say in the design of hospital and other healthcare facilities.